If you want your app business (or the app itself) to be successful, you need to market it through several channels. It seems every day there are thousands of apps being launched, and just as many start-ups. You need to have an edge, you need to show that you are a cut above. One of the more useful avenues of doing so is using content marketing. There are several things you need to keep in mind. Content marketing may seem like a hassle, but if properly implemented, you will definitely see results. The ways it helps you are many, and you can read about them below. Consumers will much more gladly prefer if they see you as a group of people, not just a company. They will see you as more human, recommend you to others, and buy any future products you may produce. You need to build a reputation, a name for yourself as a company that cares. If you can, building a community about your product (or having your product be part of a community) will do wonders. People flock to niche items, no matter how paradoxical that sounds, and they stay with them. Writing articles, blogs, Quora posts about your thought process, and the way you built your apps, can get people to come to you. They may become interested and who knows, you may just learn something. Starting up the discussion at dedicated forums and message boards will lead to a treasure trove of information. It will also earn you customers for a long time. Another way this is effective is in generating buzz for your newest app. By setting up and posting blog posts and stories, you will get people informed and interested in your product. For example, set up a special social media page just for your newest app. There you can share memes, articles, and interesting and relevant information, in general, about your product. In fact, the buzz can have a wider focus, on the actual mobile app business or process itself. The whole point is people noticing you exist. Another option is creating just a single website for your app. Using good SEO practices it can get a wider and longer reach. Setting up banners on your website and making your app front and center will also help generate interest. Next, it’s all about optimization. First of all, optimize your website by setting up proper mobile options. Many people exclusively use their phones to browse the web. By not having a good, optimized website, you will miss out on a lot of traffic. Furthermore, optimize the app store. Set up proper keywords directly inside of the title of your app. Write short Meta descriptions with keywords. And use, yes, you guessed it, keywords on any other description relevant for the app store. Furthermore, provide pictures (high-res!) of your app’s interface. Placing a short video showcasing your app is also quite a valid strategy. You seem more human, and, in turn, you have more room for emotion when using content marketing. You can use these blog posts to really market your product. This part is all about being creative. When users have multiple avenues of noticing that your app actually exists, they will trust your company more. It will also subconsciously stick in their heads when they start listing apps. Another tactic you can use is to get an influencer to work with you. You can offer this person free merch, payments, or just exposure, and see how far everything spreads. With an influencer, you have further access to an even wider audience. Just make sure that their audience would actually be interested in something you offer. Content marketing makes it easier to target and focus on a specific audience. However, before you do that, you need to figure out who you actually want your audience to be. You need to figure out who is going to use your product, and then try to think of what they would be interested, how old they are – in general, demographics. Then, target the content marketing towards them. You can do this by hiring a good social media agency, like Eight Clients for example. Or, you can get analytic tools and track everything. WordPress, and even Facebook pages come with some basic analytic tools right of the bat, for free. To be a step ahead of the competition, you need to implement all the marketing options you can. Content marketing is just the right thing that can help you with this. Figure out who your audience is, think of all the ways you can target them, and see how far you can spread. Use content marketing to get your name out there, get in touch with an influencer, and you will be right as rain. 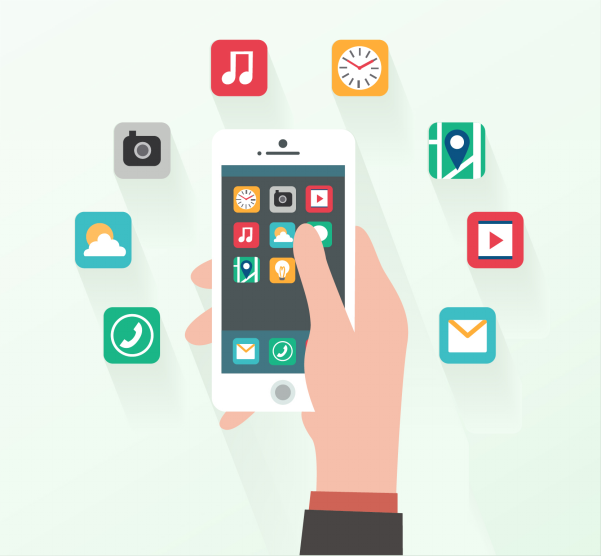 How To Develop A Best-Selling App? Thanks a lot for providing individuals with such a superb chance to read critical reviews from this web site. It is often so terrific and packed with a good time for me personally and my office co-workers to search your site at least three times weekly to read the fresh secrets you will have. Of course, I’m also certainly happy with the perfect guidelines you serve. Certain 1 ideas in this article are absolutely the best we have had.